Shahmeen Husain and her family wanted to head somewhere pleasant this summer, so they decided to visit Gangtok, Pelling , Kalimpong and Darjeeling. Here’s how their holiday went. The best time to visit a hill station is in the summer, when Hyderabad gets too hot to handle. 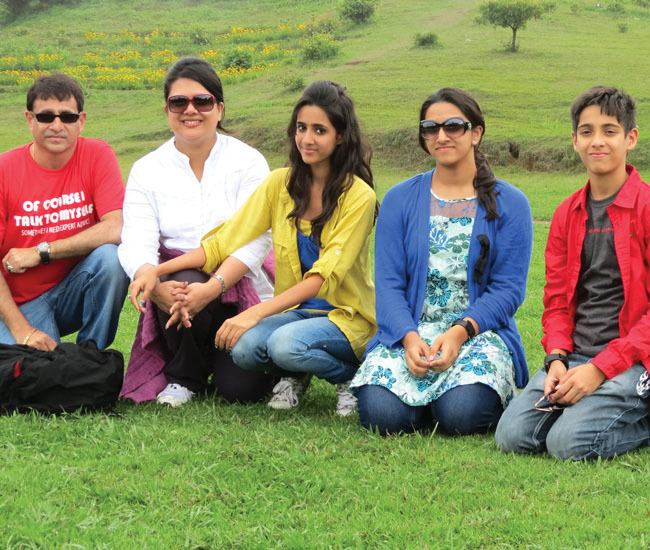 This past April, my family and I headed north to explore Gangtok, Pelling, Kalimpong and Darjeeling. 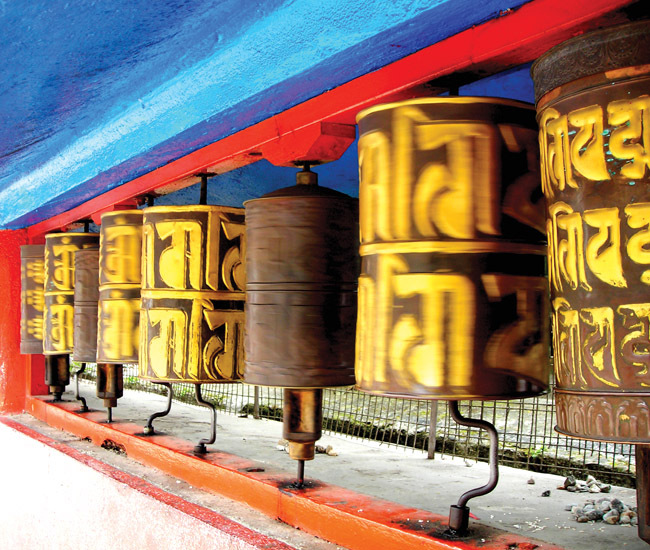 Having visited Kashmir and Kodai, Gangtok had been atop our list for a while. We flew from Hyderabad to Bagdogra via Delhi, before driving to Gangtok. The journey up the hills of Sikkim gave us a lovely view of what was to come, and a cool breeze dissipated our memories of the Hyderabad heat. The fog hugging the snow-capped peaks in the distance filled our hearts with joy, and visiting the Ranka monastery granted us peace of mind amidst chirping birds and towering hills. Some of the places we visited included Ganesh Mandir, Hanuman Tok and the beautiful Chardham. At 5,500 feet above sea level, the place offers an unbelievable panoramic view of the snow-capped hills. The holy statue of Guru Padmasambhava at Samdruptse Stupa in Namchi was marvelous. We spent our last day in Gangtok shopping on M.G. Road. We wanted to go to the Nathula Pass, about 80 km from the India-China border. Alas, we were told that we couldn’t! There had been landslides, and the roads were blocked. Luckily, a friend of the family (who happens to be an IPS officer!) came to our rescue, arranging a route via Rongli. It took a few hours more, but it was worth the drive. The road through Rongli is a delightful sight with several hairpin bends. As we travelled upward, fog filled the air. Coupled with the cool breeze, it made us feel as though we were in heaven! A group of army personnel made us feel safe and right at home. The ice on the sides of the road seemed to create a beautiful silver lining, and the white mountaintops were a sight for sore eyes! Our dream to see and play in snow came true when we finally reached Nathula, where we had a ball! We even got a glimpse of the India-China border, returning via the regular route after the road had been cleared. This way, we got to see the breathtaking Tsomgo Lake. The Tsomgo is surrounded by snowy crests, giving visitors a beautiful panorama. We were so glad we could take this path and experience it close up. We proceeded to Pelling , a two-hour journey. We stayed a distance away from the crowd at Pelling, in a resort at Geyzing. Geyzing is a beautiful place situated above Pelling, with a wonderful view of the hilly landscape. Rimbi Falls, Sewato rock garden, Kanchenjunga Lake and the Denyong monastery were some of the scenic, soothing sights we saw. On our way to Kalimpong, we went whitewater rafting in the freezing cold river; what a thrill it was! In Kalimpong, we did some sightseeing. We visited Manghaldham and saw some amazing architecture. The temple also has a wonderful little garden that has been decorated enchantingly. We visited the unique Kalimpong Science Centre, where one can observe and understand how science plays a major role in day-to-day life. A visit to the cactus nursery and the Zang Dhok Palri Phodang monastery finished our tour of Kalimpong, but not before we tried our hands at golf at the Army Golf Club! We then headed off to Darjeeling. During the drive, we were surrounded on both sides by a sea of tea estates, the heart and soul of this hill station. It was an unforgettable experience. 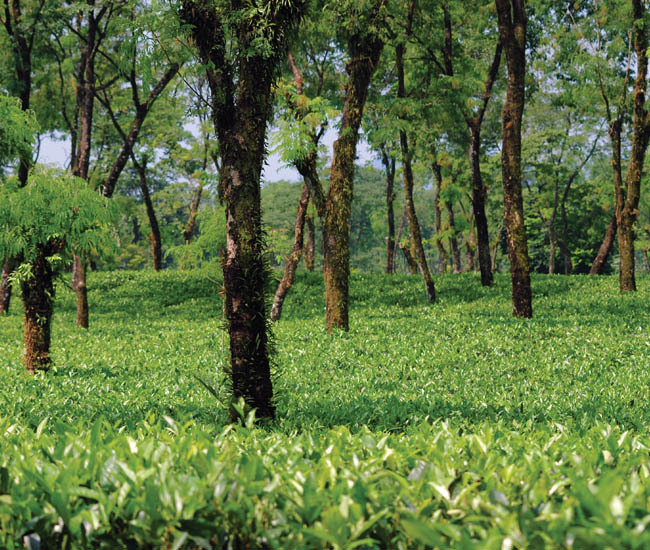 The natural beauty of Darjeeling is striking, and the green and black tea kept us warm and happy. The zoo there is well maintained with nearly every animal from India. The best part of the trip was our stop at the Himalayan Mountaineering Institute, an informative visit that taught us about mountaineers who’ve scaled Mount Everest and other peaks. The institute had displays with all the original equipment: cameras, boots, sleeping bags, oxygen cylinders and masks. Unfortunately, our trip to watch the sunrise at Tiger Hill was a bust thanks to the dense fog and rain, which sent us back to the pavilion at 4 am to enjoy the nippy air! A quaint place called Chowrasta is a popular place to spend evenings in Darjeeling. You might even catch a glimpse of someone famous as you sit here. What gave me the most joy from this trip was that my parents were so happy and relaxed. We did everything as a family, from rock climbing to playing in the snow, and the children in them took over. Having experienced these parts of Northeast India, the places I strongly recommend are Tsombo Lake and Nathula Pass (try to go via Rongli). The only things you need are time and transportation. The only thing we missed out on was paragliding, due to bad weather conditions. There’s always next time!